Following Pret-a-Portrait’s recent visit to the school, Student pictures are now available. A viewing card explaining how you can view and order pictures will be sent home with pupils. 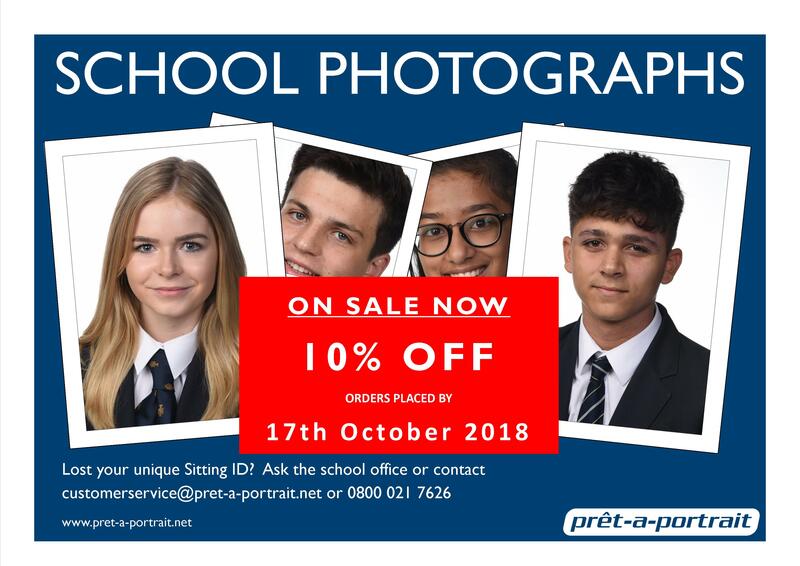 Please ask your child to give it to you as soon as possible so you have a chance to order any pictures you would like at a discounted price before the Early Bird Deadline 17th October 2018.